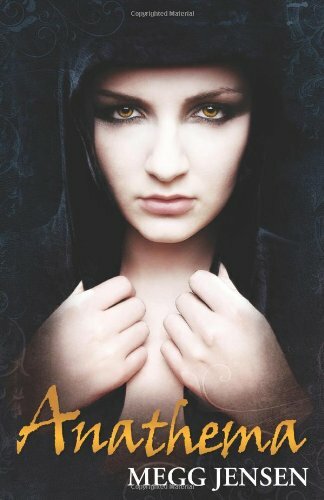 I follow Megg Jensen on Facebook and she posted that Anathema was listed as free on Amazon, so I hurried over and got my copy. I had been meaning to read it for a while. I don't know why I waited so long, because I could not put it down. 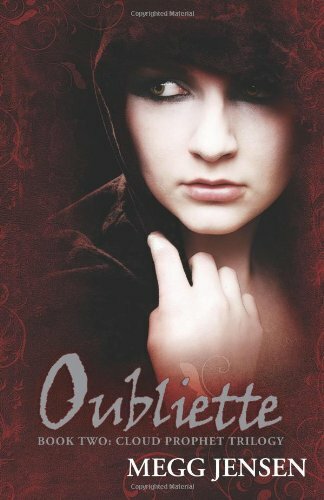 I liked it so much that as soon as I finished reading it I bought the next book, Oubliette and finished reading it before I went to bed. I made myself wait til the next day to buy, Severed, the third in the series. The book, actually all of this series, starts out running and doesn't really have a slow point. I love it when a book just keeps moving along. The story begins on Reychel's fifteenth birthday, when she wakes up and realizes her best friend Ivy, also a slave, is not in her bed. In Ivy's place is a coin, an anathema, with a mother and child on it. Anathema are usually left in place of a rescued slave and Reychel convinces the other slaves that Ivy has just left for her work earlier. Reychel is freaked out because she will have to face her branding without her BFF and the baby on the coin WINKED at her. Yeah and that is just the start of the book, it does not let up. Reychel is placed in a dungeon because of a story that she tells the king and is rescued by the same people that rescued Ivy and is sent to live with Johna, whom I love, to learn to use her gift. Reychel and almost all of the people native to her island are enslaved by the Malborn, foreign invaders. Reychel's is one of the gifted of her people, but she had no idea until Ivy, who is also gifted, tells her. Ivy can calm anyone down, but not only that she can sooth them so much that she messes with their minds. This is also about the time that Reychel learns that the only person ever born with the gift of prophecy gave a prophecy that the next person born with the gift would free the enslaved people. You know Reychel is different from the start, because the king never allows her to go outside or even look out a window unless she is in his presence. Don't worry I'm not going to give away anything else, except to say that Mark is awesome. You'll love him too. Because you are going to go get this book...which is still free on Amazon if you have a Kindle. Good for Adults and YA. No language, some violence. i've had this one on my kindle for awhile and i'm planning to read it in a few weeks. but you make me sorta want to bump it up when you say you immediately got oubliette as soon as you finished anathema. wowsers. Oh wow! I have this one in my reader but only because it was free on Smashword and sounded intriguing but I never really read any reviews on it before. It sounds excellent!!! I must bump this one out! Awesome review! Wow. Great cover? Check. Intriguing blurb? Check. Trusted review saying I should buy it? Check! I'm definitely off to buy it! I hadn't heard about this one yet - probably because I'm keeping myself off the free books list, since they are such huge temptations! But I think this book really has the potential to be amazing, and, from what you said, lives up to it! I can't wait!